Posted on February 8, 2019 by treelawyer	tagged. Mr. Fox had a cottonwood tree he loved dearly. His neighbors didn’t fall into the same category, however. They hated the constantly shedding tree with the invasive and prolific root system. Like the banyan tree in Whitesell v. Houlton, there was a lot about Mr. Fox’s cottonwood not to like. I have often mentioned the time-honored legal maxim that “hard cases make bad law.” It bears repeating here. Like the Whitesell v. Houlton banyan tree, Mr. Fox’s cottonwood generated sufficient horror stories in the trial transcript to explain the trial court’s decision that Mr. Fox’s tree had to go. A more level-headed weighing of the competing property and societal interests was undertaken by the Court of Appeals. 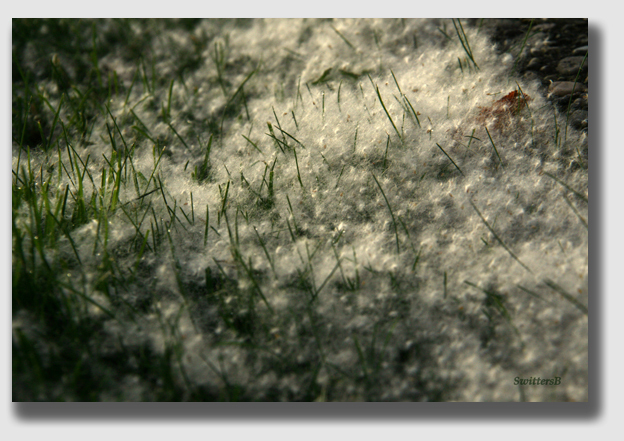 It’s beginning to look a lot like Christmas … except it’s June, and the cottonwood is shedding cotton like a plantation in a tornado. None of that changed the outcome for Mr. Fox. He had to pay damages, and Abbinetts were free to hack away at the tree’s root system to the full extent of the Massachusetts Rule. But for those of us who admire the process, the Court of Appeals’ thoughtful opinion was a breath of fresh air. Abbinett v. Fox, 103 N.M. 80, 703 P.2d 177 (Ct.App. N.M. 1985). The Abbinetts and Fox formerly owned adjoining residences in Albuquerque. The Abbinetts sued, alleging that while Fox owned his place, roots from a large cottonwood tree on his property encroached onto their land and damaged a patio slab, cracked the sides of a swimming pool, broke a block wall and a portion of the foundation of their house, and clogged a sprinkler system. The Abbinetts asked for an injunction against Fox. The trial court found against Fox for $2,500, but denied injunctive relief to force Fox to remove the tree roots. 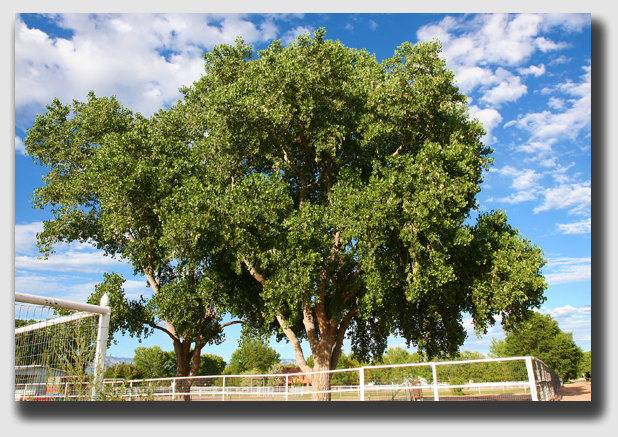 Instead, the Court entered an order authorizing the Abbinetts to utilize self-help to destroy or block the roots of the cottonwood trees from encroaching on their land. The Foxes appealed the decision. Held: The New Mexico Court of Appeals grappled for the first time with the Massachusetts Rule, the Hawaii Rule and the Smith v. Holt-era Virginia Rule. Instead, it adopted a modification of all of these, finding that when overhanging branches or protruding roots of plants actually cause – or there is imminent danger of them causing – “sensible harm” to property other than plant life, the damaged or endangered neighbor may require owner of the tree to pay for damages and to cut back the endangering branches or roots. Such “sensible harm” has to be something more than merely casting shade or dropping leaves, flowers or fruit. In so doing, the New Mexico Court anticipated the Virginia Supreme Court’s Fancher v. Fagella holding by about 22 years. The New Mexico Court also opined that it is duty of a landowner to use his property in a reasonable manner so as not to cause injury to adjoining property. This is the Hawaii Rule. And the landowner who suffers encroachment from the tree of another may — but is not required to — “abate it without resort to legal proceedings provided he can do so without causing breach of peace.” This, of course, is the heart of the Massachusetts Rule. The New Mexico Court called all of these holdings a “modified Virginia Rule,” as indeed it was. The Court held that a trial court may grant both damages for already incurred injuries and injunctive relief to prevent future harm, where there is showing of irreparable injury for which there is no adequate remedy at law.